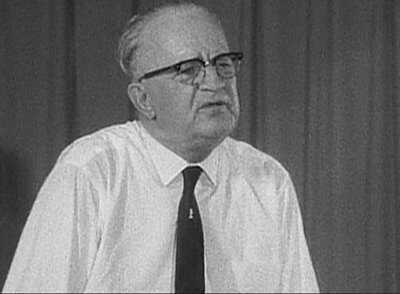 Eugene "Bull" Connor was Birmingham’s Commissioner of Public Safety in 1961 when the Freedom Riders came to town. 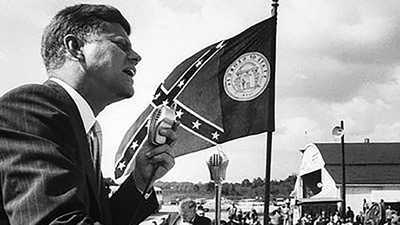 He was known as an ultra-segregationist with close ties to the KKK. Connor encouraged the violence that met the CORE Freedom Riders at the Birmingham Trailways Bus station by promising local Klansmen that, "He would see to it that 15 or 20 minutes would elapse before the police arrived." Connor was active in Alabama politics for many decades. In 1962 he sought the Democratic gubernatorial nomination, beginning his campaign in January by promising to buy "one hundred new police dogs for use in the event of more Freedom Rides." 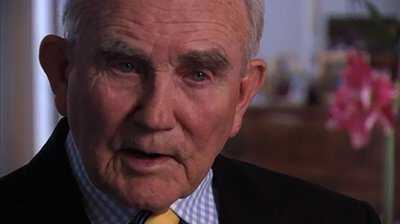 Connor was eliminated in the May 8 primary and ultimately endorsed the eventual winner, George Wallace. Connor stayed in the national news in the spring of 1963 when the Southern Christian Leadership Coalition (SCLC) brought Project C (for Confrontation) to Birmingham. The police tried to control thousands of nonviolent protesters, including children, with high-pressure fire hoses and police dogs. Martin Luther King Jr.'s famous "Letter from Birmingham Jail" was written during this time. 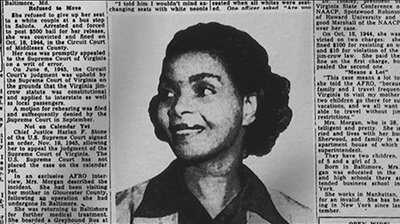 Eleven years before Rosa Parks, Irene Morgan was arrested in Virginia for refusing to give her bus seat to a white passenger. She was convicted on October 18, 1944 at the Middlesex County Circuit Court, but appealed to the Virginia Supreme Court where her conviction was upheld. With help from NAACP lawyers, including Thurgood Marshall, Morgan v. Commonwealth of Virginia was heard by the U.S. Supreme Court in March 1946. Though narrowly interpreted, the Court's decision struck down state laws requiring segregated seating for interstate bus travel. 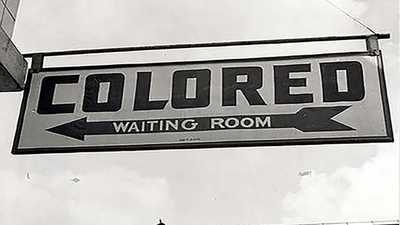 In 1947 the Congress of Racial Equality (CORE) sent 16 volunteers on the Journey of Reconciliation to test compliance with the Supreme Court's ruling. Fourteen years later, however, the unconstitutional practice of racially segregated seating on interstate buses continued throughout the Deep South, prompting CORE to organize the Freedom Rides in 1961 in an effort to focus national attention on the issue. John Patterson was elected the 44th Governor of Alabama and served from 1959 – 1963. He was an early and important supporter of John F. Kennedy for President in 1960 and later visited the President in the White House. Patterson was elected Governor on a strong segregationist platform. Patterson knew of the potential for violence when the CORE Freedom Riders reached Alabama on May 14, 1961. His Director of the Alabama Highway Patrol, Floyd Mann, positioned two undercover patrolmen on the Greyhound bus that was firebombed outside Anniston, AL. 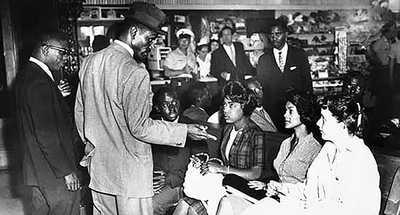 Determined to win political points with Alabama segregationists, Patterson later proclaimed that he would stand, "against Martin Luther King and these rabble-rousers." During the Freedom Rider crisis, Patterson refused to take a phone call from President John F. Kennedy. He struggled to keep U.S. troops out of the conflict that escalated in Montgomery outside the First Baptist Church, eventually calling out the Alabama National Guard. When the CORE Freedom Ride arrived, national CBS News correspondent Howard K. Smith was already in Birmingham, AL, working on a television documentary investigating allegations of lawlessness and racial intimidation in the Southern city. A native of Louisiana, Smith was still trying to decide if the claims were exaggerated. On the night of May 13, Smith received a phone call tipping him off to hang around the downtown bus stations the next day "if he wanted to see some real action." Smith thus witnessed the May 14 "Mother's Day" riot at the Birmingham Trailways Bus Station, as a vicious mob of Klansmen attacked Freedom Riders and innocent bystanders alike with pipes and baseball bats. After the riot, Smith helped the badly injured Riders Jim Peck and Walter Bergman to hail a cab. 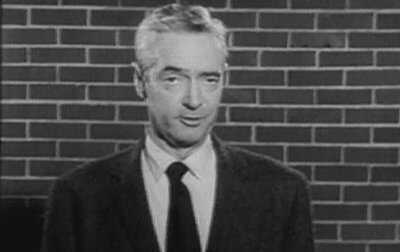 Later in the day, Smith delivered a shocking account of the riot over the national CBS radio network. "One passenger was knocked down at my feet by 12 of the hoodlums," he reported, "and his face was beaten and kicked until it was a bloody pulp." He warned of "a dangerous confusion in the Southern mind" and urged that the "laws of the land and purposes of the nation badly need a basic restatement," perhaps by the United States President. The presence of Smith and other members of the news media helped shift public opinion in favor of the Freedom Riders and may well have saved lives by causing the mob to refrain from lethal violence. Decades later, Smith testified in the 1982-1983 lawsuit by Bergman against the Federal Government, seeking damages for the injuries he had sustained in the riot, in which paid FBI informant Gary Thomas Rowe Jr. was an active participant. The Freedom Rides represented a major evolution in the tactics and strategy of the Civil Rights Movement and marked an unprecedented level of engagement with the federal government.